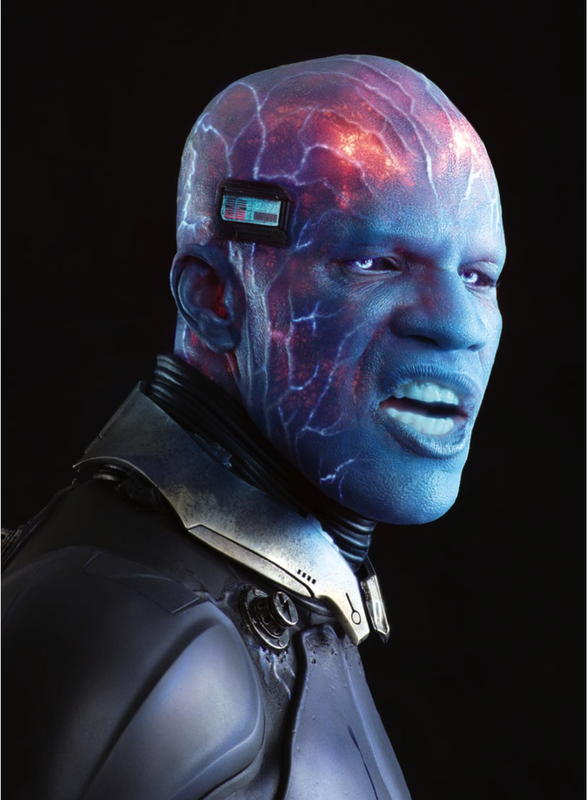 Here's Another (Official) Shot/Angle Of Jamie Foxx As Electro In THE AMAZING SPIDER-MAN 2!! Yesterday we got a look at Jamie Foxx’s Max Dillon/‘Electro’ facing down Andrew Garfield’s Peter Parker/‘Spider’Man’ in the forthcoming AMAZING SPIDER-MAN 2, due in theaters (image HERE). ComicBookMovie now has another angle of the same - taken from the same EW source material which brought us yesterday’s image. THE AMAZING PIDER-MAN 3 is due in theaters April 2, 2014 and is primed for pimping at Comic Con next week as well.